Does music have frontiers? Of course. Frontiers exist, if for no other reason, to give us the pleasure of crossing them. That is why they are there. Only someone that sees and listens to music from the jazz perspective can approach the universe of music, being immediately drawn to this way of feeling, the way of jazz. If there is a music that can cross styles, eras, sounds, repertoires of such diverse origins and take them as “yours”, translate all of them to its own language, in its multiple languages, that music is jazz. In that sense, jazz is the music of freedom. A free freedom! That is why jazz was also a voice of statement for the value of liberty, for the reclamation of rights on the fight to make man more human and the world a better place. Jazz helped to win several civic battles. We owe it that. And it was the path for changes and aesthetic rebuild of musical patterns that were though to be untouchable, spreading a path by freedom and for freedom through other art forms, a path of breaking taboos that had a decisive influence in the artistic world surrounding it, some even consider the 20th century as the “Century of Jazz”. We owe it that too. To all this, we may add the fact that jazz is a beautiful music, that fills our souls and that the body cannot resist. How not to love Jazz? In Guimarães, Jazz came to stay. The Guimarães Jazz Festival, today the most important in Portugal, organised in partnership by the Guimarães municipality, the Municipal Cooperative “A Oficina” and the Convívio Cultural Association, is counting 25 years of good jazz, with usually full auditoriums, has hosted many of the more important musicians of the history of this music, like, among many others, Betty Carter, Hank Jones, Cecil Taylor, Art Farmer, Mal Waldron, Buster Williams, Abdullah Ibrahim, Ahmad Jamal, Art Ensemble of Chicago, Jimmy Cobb, Lee Konitz, McCoy Tyner, Charles Lloyd, Ron Carter, Herbie Hancock, Wayne Shorter, Bobby Hutcherson, Martial Solal, Andrew Cyrille, Carla Bley, Steve Swallow, Cecil McBee, Jack DeJohnette, Kenny Barron, Cedar Walton,Randy Weston, Antony Braxton, Dewey Redman, Dave Liebman, Bill Frisel, Joe Lovano, Geri Allen, Charlie Haden, Sheila Jordan, David Murray, Archie Sheep, Jane Ira Bloom, Steve Lacy, Roswell Rud, John Scofield, Dave Holland, Vince Mendoza, Gil Goldstein, Uri Caine, Bob Brookmeyer, Herb Robertson, Brad Mehldau, Jason Moran, James Carter, Branford Marsalis, Dave Douglas, Joshua Redman, Gonzalo Rubalcaba, Don Byron, Cassandra Wilson, Maria Schneider, Ken Vandermark, Steve Coleman, Markus Strickland, Matt Wilson, Ralph Alessi, Brian Blade, John Patitucci, Mark Turner, Terence Blanchard, David Binney, Eric Harland. And almost every Portuguese Jazz musician and many of the best in Europe.This Festival grew roots, attracted a lot of new jazz lovers and won fans in the jazz community. By creating a new jazz fan community, especially between the young, dared us to create a Jazz school, the Convívio Jazz School, from the Convívio Cultural Association, which I preside. We have around 60 students, 8 combos, a jazz choir and a blues band in which I also play blues harp and sometimes bass. Right now, in Guimarães, jazz is a very important part of the city’s life, with a good public that also comes to the jam sessions in the Convívio Bar, where the jams follow concerts in a very jazz club mood, where you listen to jazz, even through recordings, on a daily basis, as well as in other bars in town. The School is an arrow pointing to the future and that is why we are working to attract young musicians from the philharmonic bands to the world of jazz. So, we are introducing jazz to the students of the Musical Society of Pevidém, a philharmonic band, on International Jazz day. 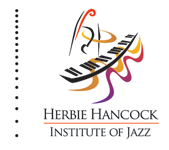 There will be a presentation by a Jazz quartet in the morning, during classes. The aim is to spread the taste for this kind of music. Today in Guimarães, jazz really exists. Jazz in Guimarães has a present and we are building its future. As Miguel Torga, Portuguese poet said, “ Time works for the future and we are the future.” Jazz is the music of the future. We could ask – Could Guimarães exist without Jazz? Yes is could, but it wouldn’t be the same thing. As explained before, jazz has a place in Guimarães. Guimarães is branded by Jazz. It has the importance that comes from hosting the best jazz festival in the country but it breaths jazz all year long, starting by the school’s activity, attended by dozens of young students, by the Convivio’s bar concerts and jams and even by the recorded jazz music played in all the bars in town everyday, and in summer, there is another jazz festival, this one organised by our association, named “O Verão é Jazz” ( Summer is Jazz). November to November was a long time without a Festival so, we created another one, in the Summer. Smaller and humbler. It hosts dozens of young combos and talented ensembles of Portuguese musicians and in the next edition some Spanish musicians will join us. 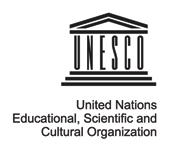 In a city with such a drive to jazz , the celebration of jazz is a natural thing as is our “Living Room”, our beautiful historical center, that has such well preserved streets and squares that were classified as World Heritage in 2001 by UNESCO. This jazz party will be for all that enjoy the historical center, filled with outdoor café terraces and people of all ages, not only jazz habitués. 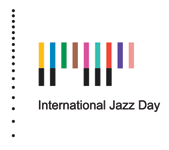 The importance of the celebration of jazz in its International Day comes from all this. It gives the fans one more chance to enjoy this music, creates a chance of gathering musicians and even the chance to organize special ensembles for this day’s programme but, above all, a chance to bring jazz to less usual publics that in our city can feel the call to enjoy jazz, to get closer to it. I would like if the International Jazz Day could in fact bring a new public to love this music. That is what I would like the most. I would like that the ones that already belong to jazz, because they listen to it and love it, would dedicate a big part of this day to jazz, listening to it, enjoying life and celebrating it as an intimate thing but also shared with the closest people, shared by a brotherly community, savoring it between friends because jazz provides this approach between people. I would like that this day would give a special opportunity for all the musicians involved to listen to one another, to play with younger friends, to improvise over themes of this music that we all love so much. I would like that the live stream we are preparing, in a somewhat amateur way, would create a human cord connected by jazz, linking several places in the world where jazz is being played and listened to, where it is being loved, transforming these moments in moments where the world can live in harmony.